Launchpad to - Blue Heeler Cloggers - "Dancing with Bite!" We hope that you will find the world of clogging as exciting as we do. Maybe you will consider signing up to our Newsletter for 'Top Dog'. More information on this is in the left hand navigation bar. 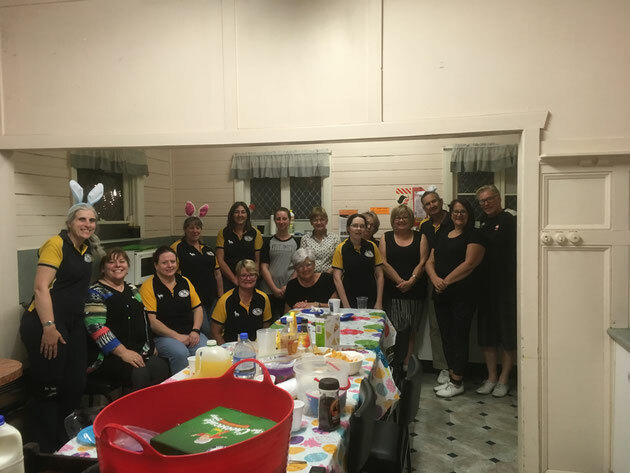 Blue Heeler Cloggers were proud to be involved with the Cancer Council NSW - Stars of Orange Dance for Cancer. Lindsay did an amazing job. A Big Thank you goes to Sally for all the effort she put into to assisting Lindsay to take the stage. 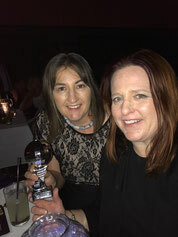 The photo shows Sally and Jo at the event. 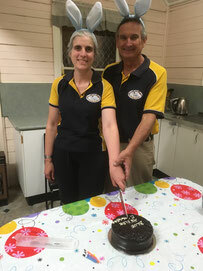 We have just moved back to the CWA Hall - where it all started. It is like returning home. Heeler's Hoedown was an amazing mix of talented live musicians and dancers who were prepared to go outside of their normal comfort zones. We have to thank everyone who participated and everyone who assisted in making it such a wonderful event. There will be fond memories!!! I have never danced so much at a Clogging event and all I can say - is those 'Mountain Folk' must be mighty fit - I was sore for several days afterwards. Anyway - if you missed the event and want to see what happened - here are some videos. 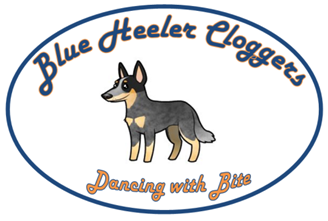 "Top Dog" Newsletter from Blue Heeler Cloggers. Keep updated with this periodic newsletter by subscribing to "Top Dog" . We wont share your personal details with anyone (we promise!). Add your email address here, Answer the Format question and then Click on the "Subscribe" button. 2 We charge you at "cost" price to us. There are no other hidden costs - just a shipping fee.